A husband’s simple gesture of love for his wife is inspiring people around the world. 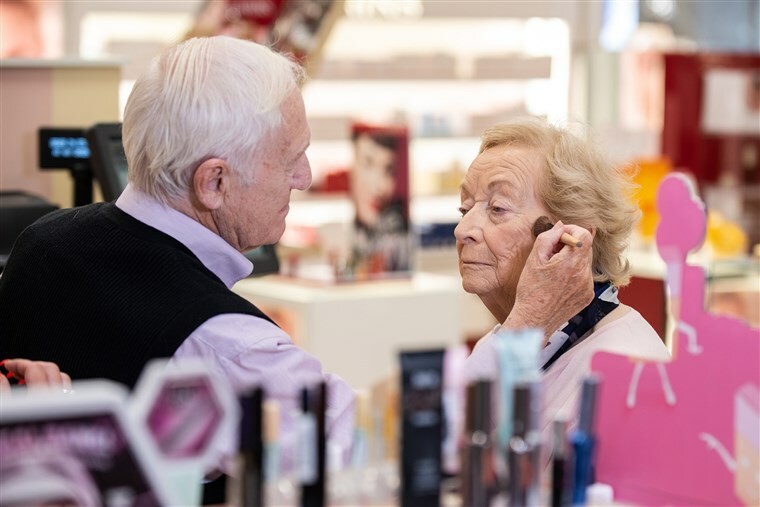 Mona Manahan, 82, has trouble doing her own makeup because of her deteriorating eyesight — so her husband of 56 years, Des Manahan, took lessons so he could apply it for her. It all started when Mona was getting a beauty tutorial from Rosie O’Driscoll, a makeup artist at a Benefit cosmetics counter at Debenhams, a department store in Waterford, Ireland. 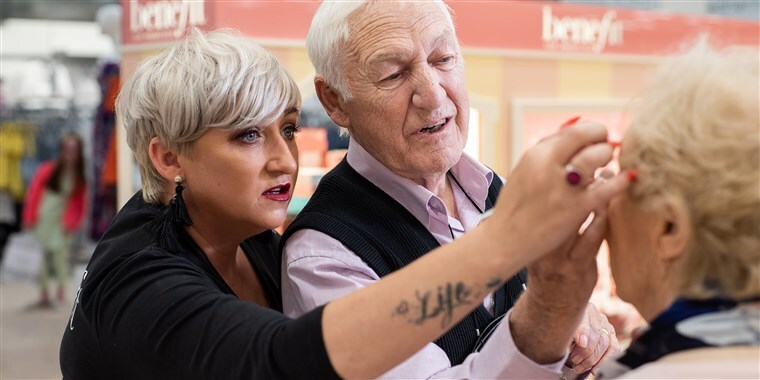 Des, 83, was watching the lesson and teasing O’Driscoll about how she could do a better job on his wife’s makeup. It turns out, he’s a natural — and he enjoyed doing Mona’s makeup so much that he came back for more classes. “He got lesson after lesson after lesson, and loved every minute of it,” O’Driscoll, 43, told TODAY Style. Des learned how to apply blush, lipstick and more, and he eventually started choosing his own products and experimenting with different techniques. “I think he prefers me to take a step back now and let him off, let him do whatever he wants to do,” O’Driscoll said. Des is especially skilled at doing his wife’s brows, which he said “just need to be touched up slightly” because Mona is so fair. 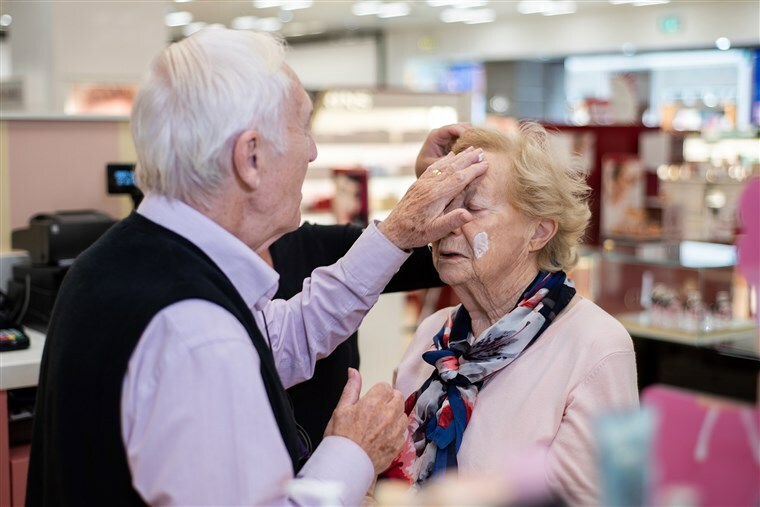 Word of Des and Mona’s makeup sessions started spreading and last fall, the couple appeared on Ireland's "The Late Late Show" to share their story. Before long, Des’ heartwarming gesture of love went viral around the world. Their story even reached Mario Dedivanovic, a celebrity makeup artist whose clients include Kim Kardashian, Jennifer Lopez and Christina Aguilera. Dedivanovic was touched by the couple’s story and invited them and O’Driscoll to one of his master classes in London. “My heart felt so full seeing them there in front of me,” Dedivanovic wrote on Instagram. O’Driscoll has been equally moved by the couple’s sweet relationship. “It’s absolutely beautiful to look at them," the makeup artist said. "They do love each other, they love each other deeply and dearly." She added that she has developed a close bond with the couple. Des and Mona are bemused by all the attention their story has gotten, and Des is unfailingly modest when he talks about his makeup skills. He says his main concern when doing Mona’s makeup is just to not irritate her eyes, which are very sensitive. But hearing Des’ thoughts on love and aging gracefully, it’s easy to see why their story has stuck such a chord.